I had a houseful of family today, and I needed to feed them. I went with brunch—the perfect company food, for a million reasons. The variations on breakfast casserole are endless. Every dish starts the same: Bread, milk, eggs. But from there you can do sweets or savories, ham, sausage or bacon, with veggies or with fruit. Basically, whatever you have on hand! Sausage, roasted peppers, eggs and toast would be another great way to serve those same ingredients, but the reason you make a breakfast casserole is because you don’t have enough of those things to feed everybody. Breakfast casserole uses cheap white bread to stretch the yummy ingredients farther. This is a great trick when feeding a crowd, but a terrible way to eat on a daily basis. And it is a terrible way to create a book. Once on a writer’s forum someone asked, “What do you all fill those pages between the actions with?” There was sense of panic to the question. The writer desperately wanted to make a whole novel out of a short story. He wanted to make a meal out of a snack. He wanted to know the secret filler we all used to make our novels stretch. You either have enough action for a story, or you don’t. If you love your story to death, and you don’t want to see it end up as a short story instead of a novel, I have three tricks for you. They aren’t filler. They aren’t for stretching your story the way a loaf of white bread stretches a breakfast casserole. They are good, solid tips for creating a novel length piece of fiction. Add another point of view. It’s a painless way to give your readers more of your story world and to add dimension to your tale. Dig through your character notes and figure out who you find the most compelling and who has the most at stake in the tale. Make life harder for your main character. I don’t know what genre you are writing, but if the only hard time your character is having has to do with the main plot line, and then you have plenty of room to explore. Most folks have family life, work life (or finding work life,) school, church, or neighborhood life that intersects and distracts from the main goal. Find ways that these other aspects of your main character’s life can make achieving her main goal harder. Your book will be both longer and more interesting. Dig into that deep POV! I am pretty sure that anyone writing their fist novel can give “more.” Tell us more about what your main character is thinking, feeling, smelling, tasting, and seeing as she (or he) makes her (or his) way through life. Two or three sentences per page of observation and experience can both deepen, and lengthen a book! Want to know what tortures I put my main character through? 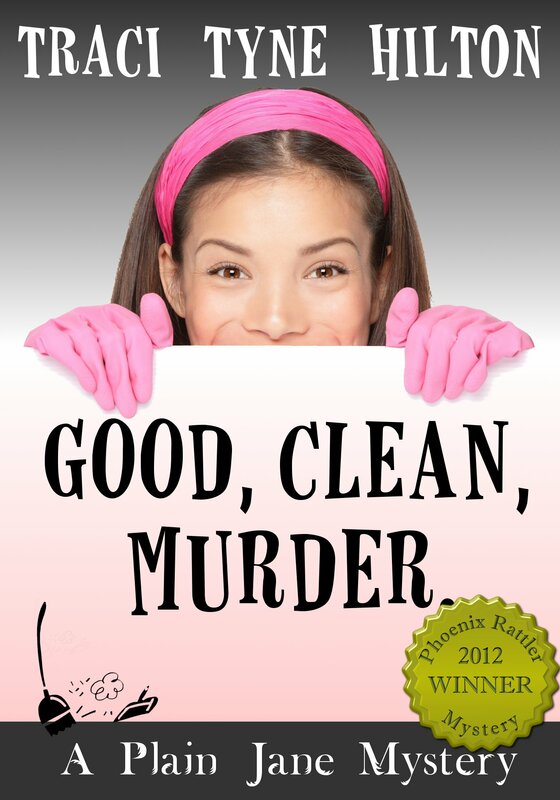 Then check out Good, Clean, Murder: A Plain Jane Mystery, available now at Amazon, Barnes and Noble, and Smashwords! Traci Tyne Hilton is the author of The Mitzy Neuhaus Mystery Series, and one of the authors in the The Tangle Saga series of science fiction novellas. She was the Mystery/Suspense Category winner for the 2012 Christian Writers of the West Phoenix Rattler Contest, a finalist for Speculative Fiction in the same contest, and has a Drammy from the Portland Civic Theatre Guild. 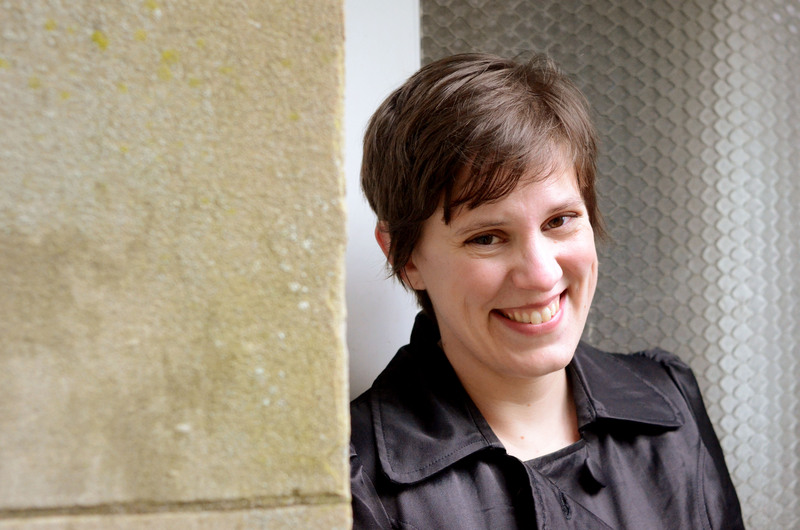 Traci serves as the Vice President of the Portland chapter of the American Christian Fiction Writers Association. Traci earned a degree in History from PortlandStateUniversity and still lives in the rainiest part of the Pacific Northwest with her husband the mandolin playing funeral director, their two daughters, and their dog, Dr. Watson. Award Winning Mystery from Best Selling Author Traci Tyne Hilton! Who knew being housekeeper to wealthy owners of a Roly Burger franchise would mean sweeping up clues to their death, while ministering to the needs of their heirs? This is one big mess that Jane is intent on cleaning up before things get even worse. My recipe for breakfast casserole. About two tablespoons of Worcestershire sauce. Cut crusts off of bread, and then cut into quarters. Layer in a 9 x 13 casserole dish. Break eggs into bowl. Add sour cream and beat. Add milk. Cut the tops off of peppers and dice. Cut sausage links into half inch pieces. Fry them up with the peppers. Add sausage and peppers to egg mixture. Put half of the bread in the egg mixture. Let it get nice and soppy. Pour this over the remaining bread in the pan. Bake at 450 for an hour and a half.